Launch: Wind Creek State Park has two excellent ramps and plenty of parking for the truck and trailer. Comments: Alabama State Parks are beautiful. This one is ideally designed for boater/campers with excellent facilities and a good marina. 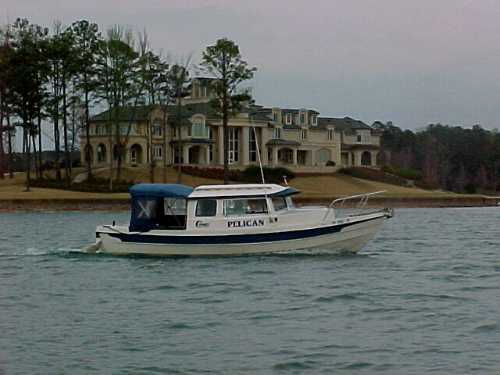 -----"She's one of Alabama's best-kept secrets," emailed Pat, the local C-Dory owner from Montgomery. 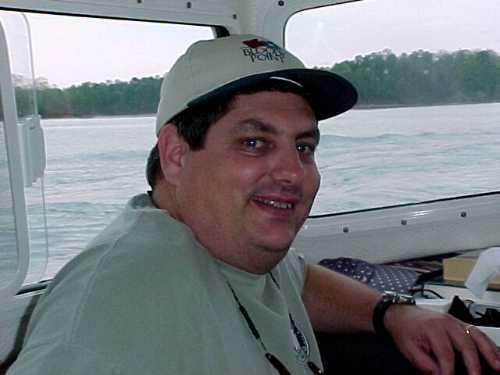 "You'll love cruising Lake Martin." 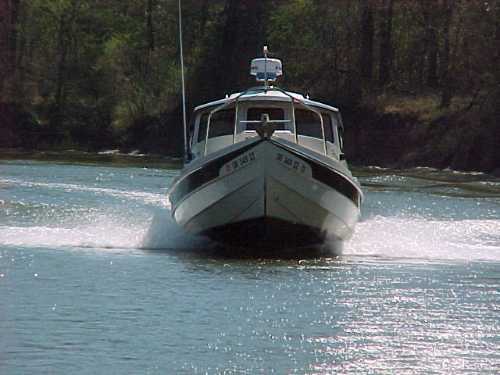 -----The C-Dory Owners website has made all the difference in our cruising life. Most places we cruise, we have had helpful owners share their charts, launch ramp ideas, and most importantly, their water knowledge with us. Pat not only shared charts but had them delivered to us at the marina. His emails were rich with ideas and suggestions, and we have embraced every idea. 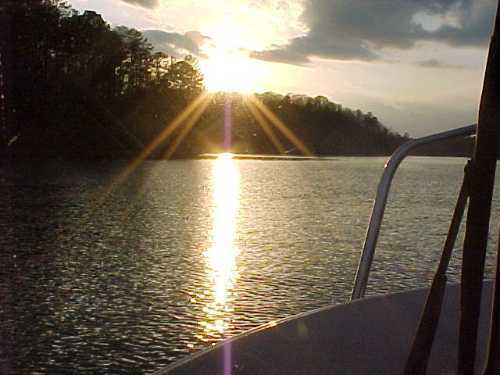 -----We told some Alabama boaters in Demopolis of our plan to cruise Lake Martin. 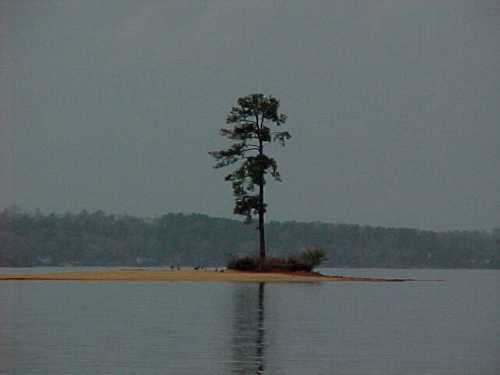 "Lake Martin? I grew up on that lake. 'Cept we always called it Lake Kaw Liga." That sounded vaguely familiar to me and I told him so. -----"Why, of course it would," he said with a chuckle. 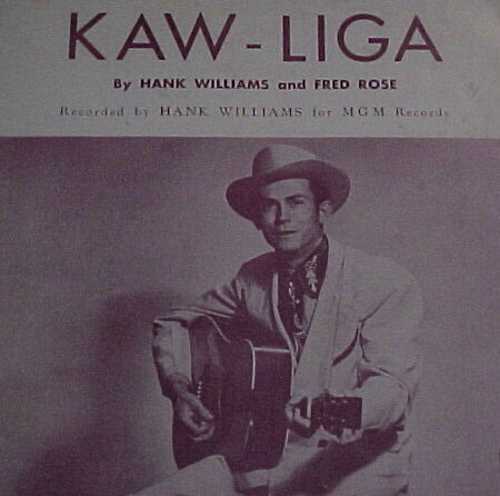 "'Member Hank Williams singing about Ol' Kaw Liga, the dear old Wooden Head?" Bingo - the tune came leaping back like I had just heard it yesterday. 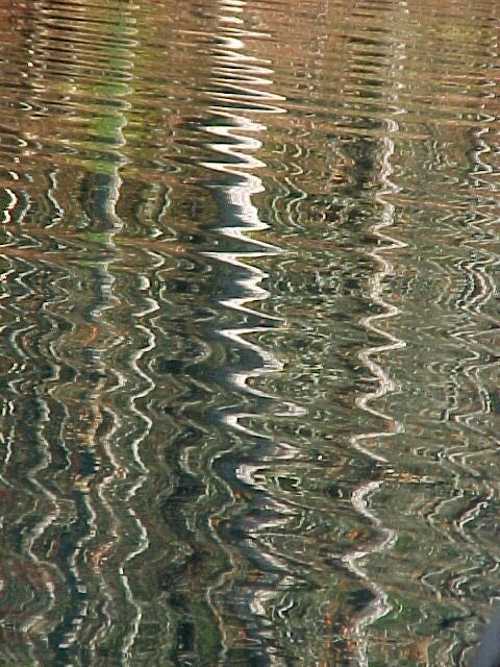 -----"Hank wrote that song down on the lake and us locals have called it Lake Kaw Liga ever since." -----A few days later, with Hank Williams singing in my head, we launched Pelican and Halcyon at Wind Creek State Park into Lake (Kaw Liga) Martin. 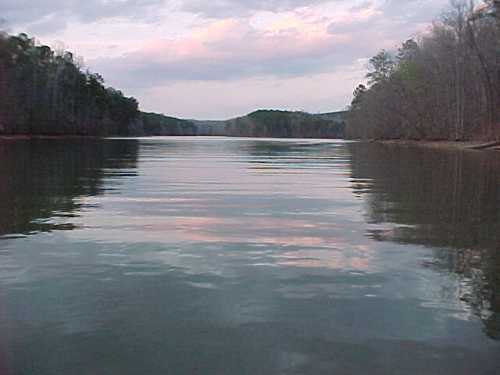 We had such fun together on the Black Warrior, we wanted to continue our tandem C-Dory cruise of Alabama waters. -----The forecast was predicting a cold front replete with rain, so we slipped around the corner into a cove of Elkahatchee Creek and set our hooks deep in the mud. It did rain, but without accompanying wind. -----Early the next morning, we got a call on the cell phone from Pat. He could join us for a day on the Lake. We met him at 8:45 and what fun we had together. We visited almost every corner of the lake - ostensibly to locate a restaurant to share lunch and the 1st Alabama C-Dory Rendezvous. Most weren't open since the boating season had yet to begin. -----One looked promising - it even had a blazing neon sign flashing "OPEN." They were closed tighter than a drum. Pat grinned, saying, "In Alabama, a sign flashing "OPEN" only means the electricity is working." He finally called a restaurant he knew and, yes, Sinclairs was open. What a meal - cheese-stuffed olives, she-crab soup, shrimp, and grouper, to mention a few! 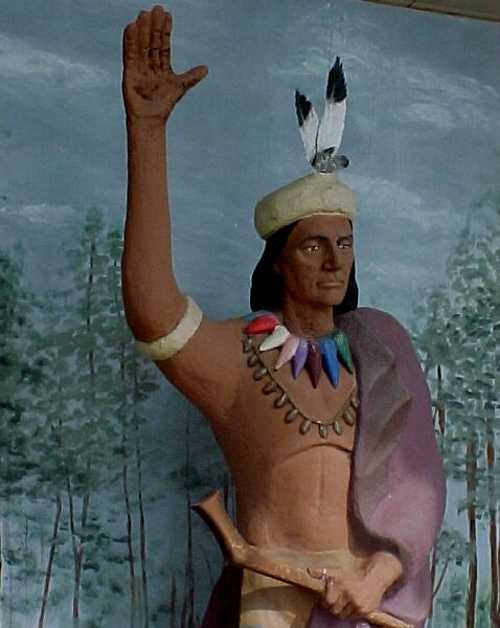 -----After lunch, we found that the original wooden Indian Kaw Liga was on the premises - and we gathered around in homage. -----What a beautiful lake. Pat is correct in calling it a treasure. Islands galore, clean water, forested shorelines, and great food - a cruiser's Paradise.